After the first four presenters provided their opinions, Kudo addressed the panel. He described how the current U.S.-China rivalry is a cause for some concern for those seeking out a means of building a stable order in Northeast Asia. Kudo asked the panel their opinions on how the rivalry could be brought under control. Former U.S Assistant Secretary of State for East Asian and Pacific Affairs Daniel Russel responded to Kudo's question first, saying that we must first return to the origin of the issue and ask what kind of system should be built for Northeast Asia. He suggested that a foundation for cooperation can be built upon the democratic values shared by the U.S., Japan and Korea, and on the concept of the free market shared with China. The leaders of both the U.S. and China have been going in different directions thus far, and Russel argued that they should be focusing not on competition but on active cooperation built on the shared foundation. Wei Ouyang , professor at China's National Defence University, countered by reminding the panel about the positive approaches have been made towards resolving the issues in the U.S.-China relationship - such as those regarding unplanned encounters at sea - suggesting that the rivalry has not reached the level of out-and-out conflict. 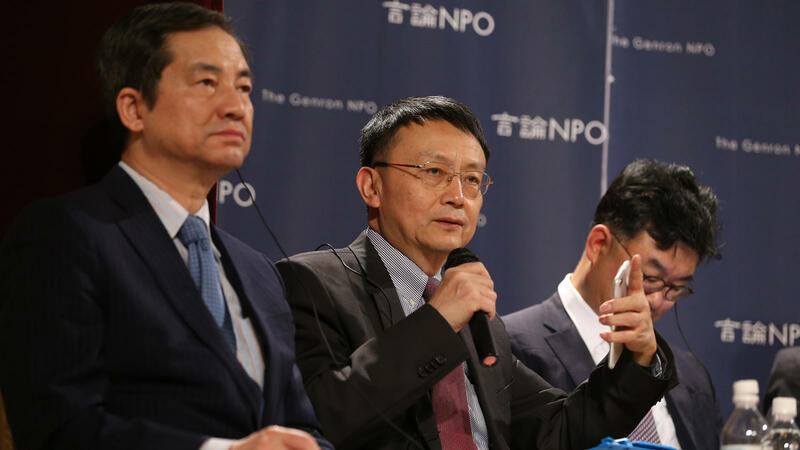 Ouyang stated that there are various aspects to the relationship that go beyond competition, including the concepts of co-existence and cooperation, and that the countries should avoid excessive confrontation, and should reduce the risk of potential clashes through dialogue. 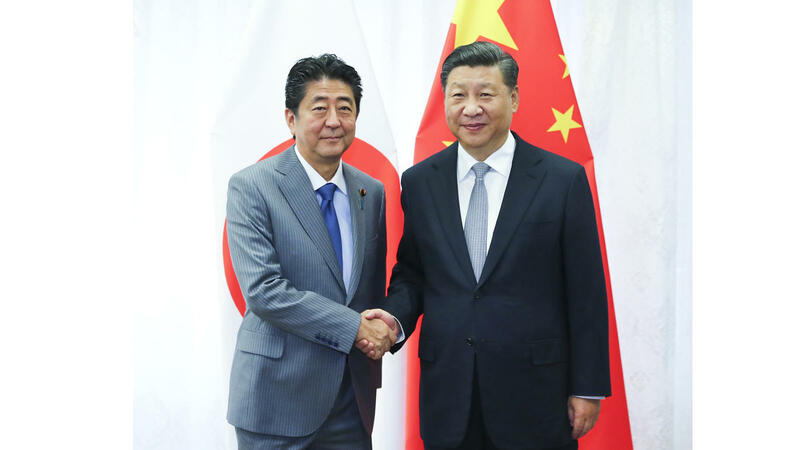 Ouyang also mentioned the Treaty of Peace and Friendship between Japan and China, the 40th anniversary of which was last year, as an example of past diplomatic efforts towards peaceful co-existence and mutual prosperity that other countries can learn from. Pacific Forum President and former U.S. Navy Rear Admiral Robert Girrier suggested that the core of the U.S.-China rivalry lies not only in increased confrontation surrounding rapidly-developing information technologies, it also arises from the fact that it is difficult to use past methods to resolve issues arising from new phenomena. Although it will take time, the only way to make a breakthrough is to build mutual trust by engaging in multiple small cooperative efforts and through that, by uncovering shared interests. Qingguo Jia, Dean of Peking University's School of International Studies, agreed with the necessity of mutual trust, but argued that a prerequisite to that is a level-headed recognition of the reality of the situation. Jia faced his American counterparts as he stated his belief that some in Washington are thinking about their issues with China in an overly-emotional way. He stated that this is why people must think carefully about what strategic interests the two countries share. 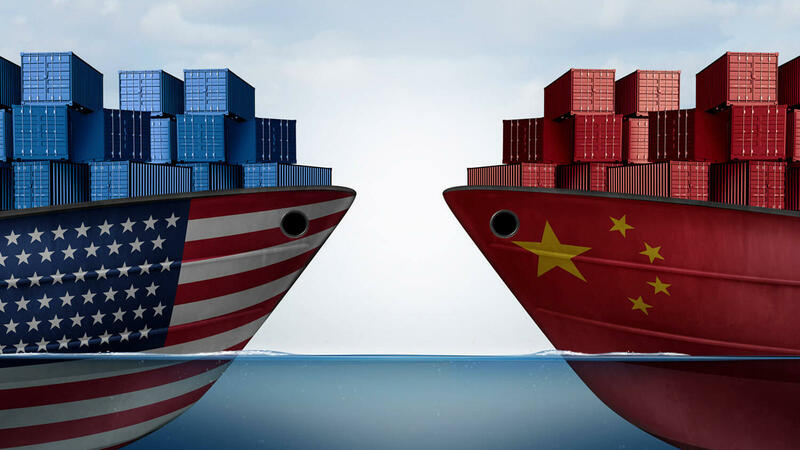 In addition, Jia added that since China is already making significant concessions on intellectual property rights, market access, and other issues, the U.S. must also make compromises, or the rivalry cannot be brought to an end. In response, Former U.S. Ambassador to South Korea Mark Lippert recognized that said that the anti-China hardliners are gaining strength and the thinking in Washington is becoming hawkish. 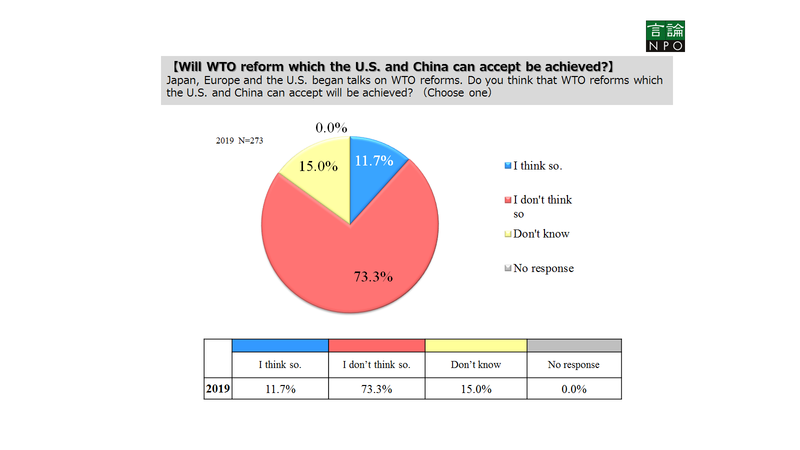 However, when one considers that the U.S. outlook on China has traditionally wavered up and down, Lippert said, one realizes that this hawkish trend is not necessarily going to last for decades. As long as there are no direct clashes, Lippert said, the countries need to start by deepening the cooperative relationship where possible, and by avoiding making the relationship more competitive than it already is. 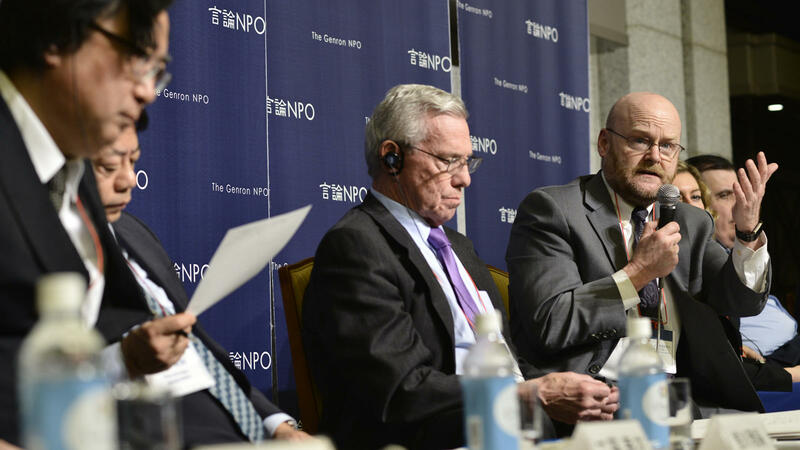 After hearing from the U.S. and Chinese panelists, Kudo turned to the Japanese and Korean panelists to learn what those countries can do for peace in the region as the U.S.-China rivalry heats up, and what positions the countries should take. Keio University Professor Junya Nishino offered three issues that he believes should be addressed by Japan. First, regarding regional order, Japan must deal with the issue of "whether the power balance is important, or the system is important...and can a system be built wherever the power is unbalanced?" To a certain extent, Nishino believes balance is necessary, and the issue Japan must deal with here is to determine how to implement stable management that ensures the balance is not disrupted. 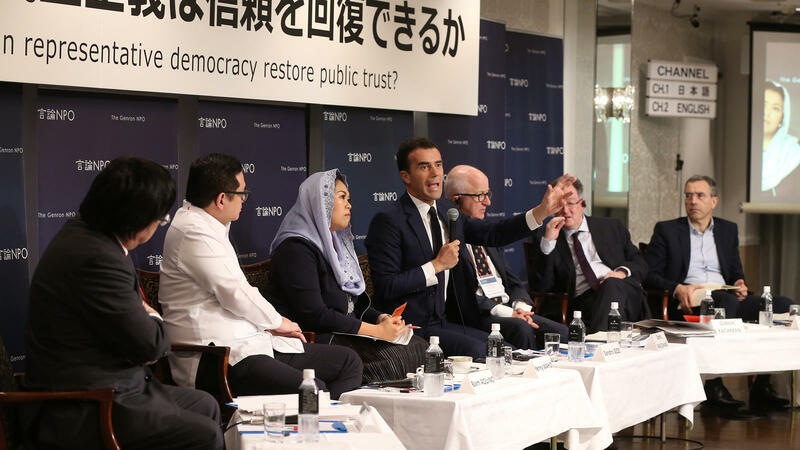 In addition, Nishino argued that an attempt should be made to establish a system of regional cooperation, and believes that the CPTPP (TPP 11) will serve as a strong foothold. For the second issue, Nishino mentioned the recent difficulties in the Japan-Korea relationship. He noted that the 1965 treaty between Japan and Korea and other diplomatic efforts Japan has made are falling apart, and the issue here lies in how to stop the situation from growing worse. Finally, regarding Japanese reconciliation on historical awareness, Nishino said that while the Japanese public is suffering from "history exhaustion," the issue cannot be avoided if Japan wants to build a peaceful order in the region. The country needs to prepare itself to take on the process of reconciliation honestly. Former Japanese Administrative Vice-Minister of Defense Matsunori Nishi said that from a historical perspective, war can be looked as a gargantuan mechanism of consumption and an opportunity of correcting economic "contradictions." That is why the world is now struggling to deal with unresolvable contradictions like the large amounts of capital amassed by countries such as the U.S. and China. Naturally, Nishi said, we cannot permit those contradictions to be resolved through warfare, so another means of resolving them is needed, for example through Japan, the U.S., China, and Korea working to rebuild the international economic system. That sort of effort, Nishi explained, is what is needed to realize a peaceful order in Northeast Asia. Heung-kyu Kim serves on South Korea's National Security Council and is a professor at Ajou University. Kim noted that while the U.S.-China rivalry is temporarily on hold, the distrust remains on both sides. Coupled with the fact that South Korea has historically suffered the sorrow of having been at the mercy of the countries around it, Kim said, the current situation leaves him pessimistic about the future of Northeast Asia. To break the deadlock will require an appropriate framework to be built . While Kim believes that no one has yet to present a clear idea on how to achieve build such a framework, he said that it should be reviewed from a multifaceted perspective that incorporates political, economic, and cultural elements. Kim suggested that Japan and Korea should return to coordination and cooperation under a shared vision, and ensure that no power vacuums appear in the order. He also mentioned the importance of the middle powers. As the major powers engage in strategic competition, it is necessary to have countries like Korea and Japan that can bridge the gap between the powers and be conscious of maintaining the balance. Ki-jung Kim is a former diplomatic advisor to the Moon administration and professor at Yonsei University, and he argued that Japan and Korea should cooperate in suppressing the U.S.-China rivalry, warning that if the rivalry cannot be ended, the Korean peninsula will become the front line of a new Cold War. He spoke of the cooling relations between Japan and Korea, and noted that there have been many ups and downs throughout the 50 years that have passed since the normalization of diplomatic relations. He appealed for calm, saying that there is no need for a hypersensitive response, even when relations sour in the short-term. Girrier spoke up about the middle power theory, and noted that dramatic developments in information technology have provided even small and medium-sized countries a means of exerting their own influence. He added that an environment in which middle powers can play their own roles is now in the process of being built. Here the discussion turned to the issue of North Korea nuclear weapons development. Kudo asked the panelists how they see the denuclearization of North Korea playing out, and Russel said that he interpreted Kim Jong-un's statement regarding denuclearization being an "option" as meaning that it would be an option once the U.S. military threat has been removed from the Korean Peninsula. "In other words," Russel said. "He has no intention of denuclearizing." Heungkyu Kim argued that, considering that, historically, negotiations have not resulted in North Korea abandoning its nuclear weapon program, the related countries should aim for consensus and keep up the pressure. However, he pointed out that there is a limit to what economic sanctions can achieve. The key to solving the problem is cooperation between the U.S. and China, Kim said, and that is just another reason why the current rivalry must be resolved. 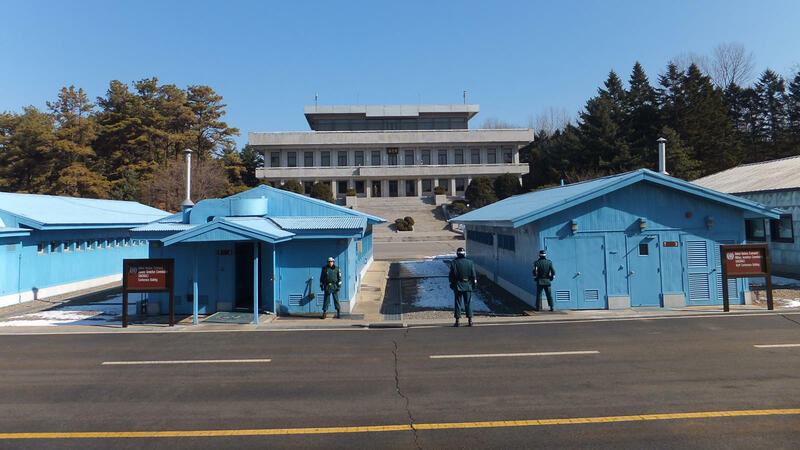 Jia noted that up until now, the only means used to handle North Korea was through the use of the "stick" of economic sanctions, but over time, that approach gradually bore less fruit. 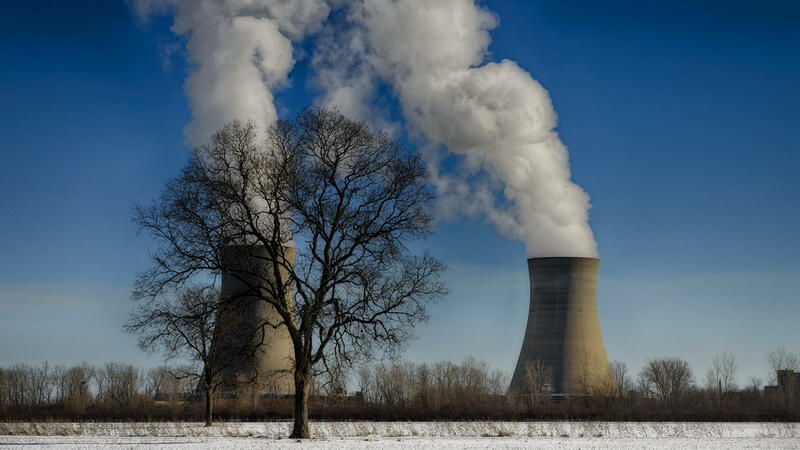 Therefore, China and South Korea have taken the carrot approach, Jia said, by offering them a vision for economic cooperation in return for abandoning their nuclear program. However, Japan and the U.S. are offering no such carrots. 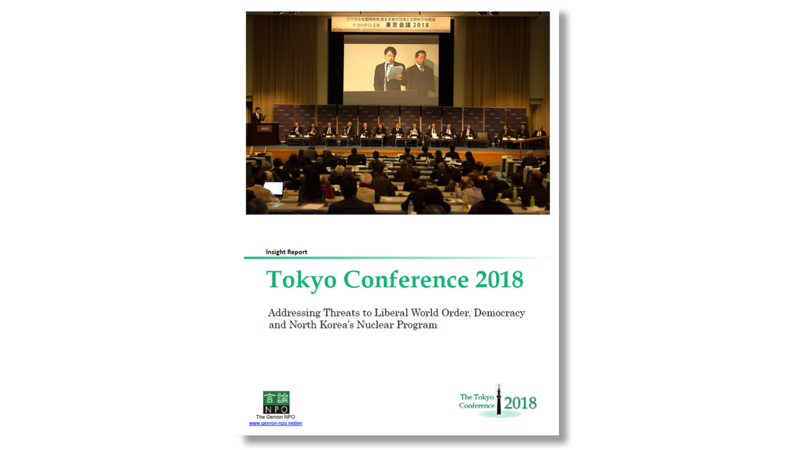 Jia argued to the Japanese and U.S. panelists that, without showing North Korea a specific vision of the benefits of abandoning their nuclear program, they will not feel secure enough to do so. Nishino agreed that it is necessary to revisit the carrot and stick approach in response to the changing circumstances. China and South Korea are willing to resume economic cooperation, and there should be a review of other exceptions as well, such as the resumption of tourism activities at Mount Kumgang. He also indicated that it is necessary for the related countries to reconcile their ideas on exactly what the final goal of denuclearization is. 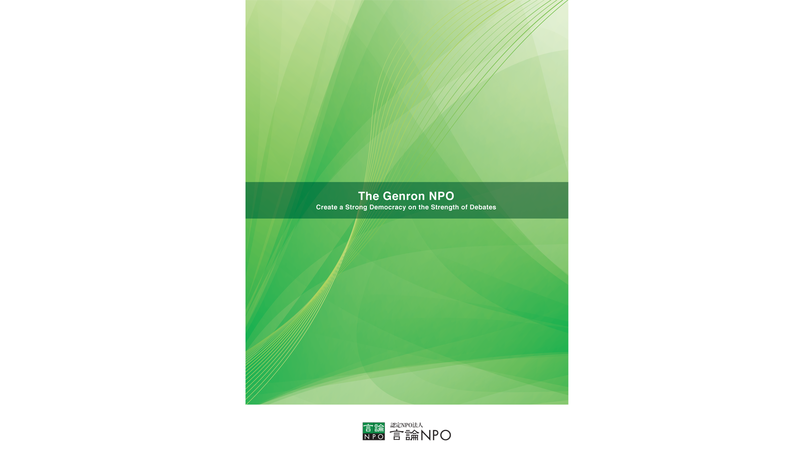 Nishino argued that the current anxiety and suspicion comes from the fact that there is no clear goal, and the various countries need to have a shared understand of a variety of issues, including the future of U.S. forces in Korea, the state of the "nuclear umbrella", and what to do about United Nations Command. Finally, Nishino also mentioned that the multilateral dialogues recently called for by Kim Jong-un are another issue for Japan to deal with. At first, North Korea aimed to negotiate a deal through bilateral dialogues conducted with the U.S. and with South Korea, but those dialogues were less successful than expected, which is why they are trying to set up four-party dialogues by bringing in China. 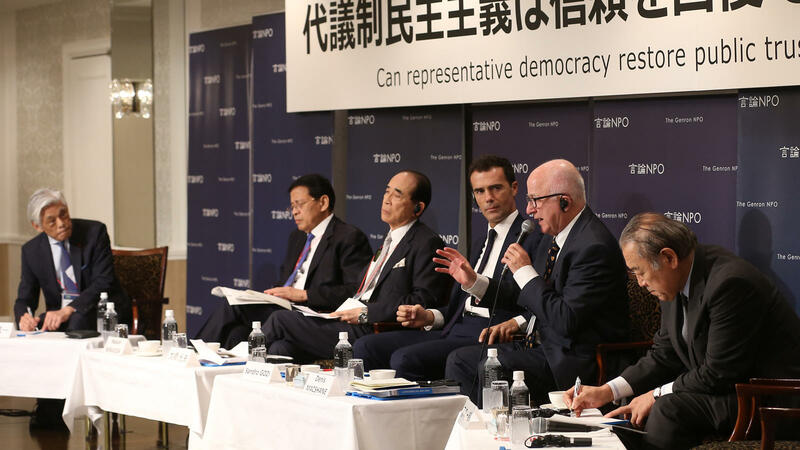 Naturally, as Japan is not involved in that, it will be unable to exert its own influence on the process, but Nishino explained how the previous time the idea for four-party talks was proposed, Japan objected, and they became six-party talks. 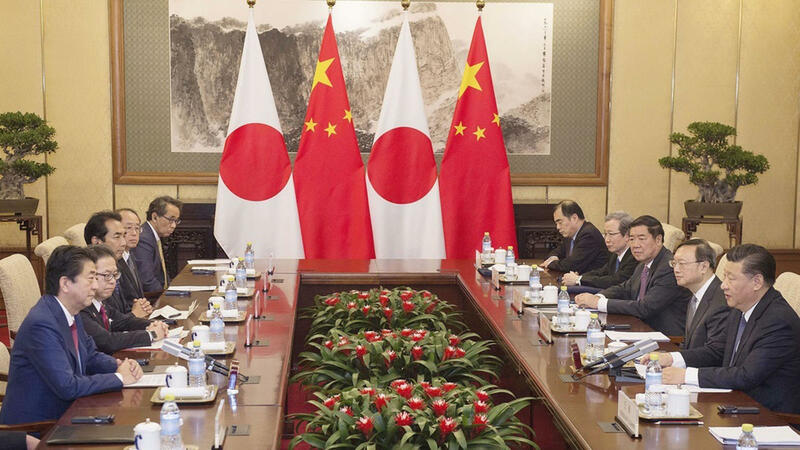 Nishino wonders how Japan will respond now that the idea of four-party talks has been floated again. Finally, Kudo presented the results of a questionnaire survey of experts conducted shortly before the event. One question asked respondents what is required to realize a peaceful order in Northeast Asia, and many of the experts responded that "dialogue" is necessary. Kudo then turned to each of the panelists to ask them what sort of dialogue is necessary for the four countries. Yuji Miyamoto, former Japanese Ambassador to China, agreed with the experts, and said that a dialogue has to be opened as soon as possible. Even if a solution isn't immediately at hand, he explained, "No one engaged in dialogue looks at the other person and says, 'Let's confront each other even more'. That's why they try and look for other options." Waiting until other options are available before engaging in talks is often leaving things too late, Miyamoto argued, which is why discussions should begin now. Russel also emphasized the importance of dialogue and of the dialogue process. One point to keep in mind when engaging in dialogue, Russel said, is to start from a specific issue that is manageable, and try not to extend too far. It is important to remember that success there can be reflected in policy, which can have an impact on society as a whole. Jia said that the necessary perspective to take now is not "what should we do?" but rather "what shouldn't we do?" He referred to the Canadian arrest of the CFO of Huawei at the request of the U.S., and argued that, "this sort of emotional overreaction should be avoided." He again called for anti-China hardliners in Washington to be reined in. Lippert responded that most experts in Washington are calling for more focus to be put on U.S.-China relations, and are looking for ways of engaging in practical and pragmatic dialogue. He feels that there is hope for the rebuilding of the U.S.-China relationship there. Girrier pointed to the 50-year-long history of ASEAN as a good model for Northeast Asia to follow in its own efforts to build trust, and appealed for dialogues to be started immediately in order to benefit future generations. After a question-and-answer period with the audience, Miyamoto was asked to sum up the day's talks. He predicted that although relatively-speaking U.S. power is decreasing and Chinese power is increasing, he does not believe that China will attempt to lead the world in the same way the U.S. has done. Even if China passes the U.S. in GDP, it is unlikely to pull far ahead, Miyamoto believes. Moreover, considering that India and Indonesia are only a few steps behind, he thinks the world is unlikely to end up with a single Chinese superpower, or even with the U.S. and China as the only two superpowers. 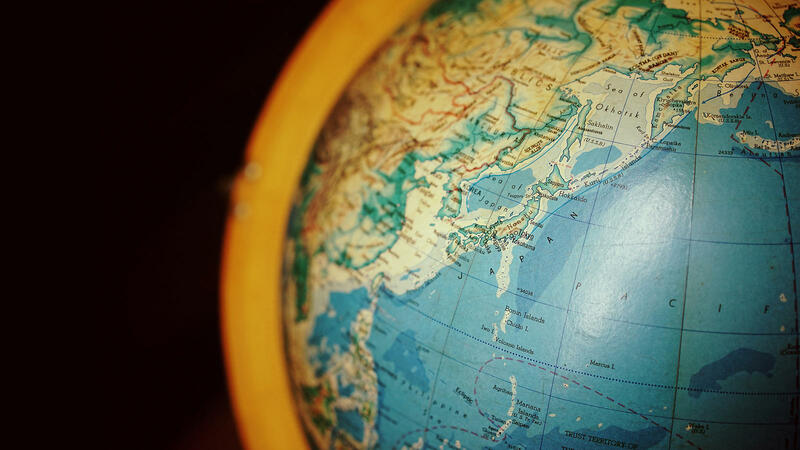 As only one region in an increasingly multipolar world, Miyamoto posed a rhetorical question when he asked those gathered what form order will take in Northeast Asia. Whatever happens, he believes that new technological developments and the new ideas that follow them will be key. 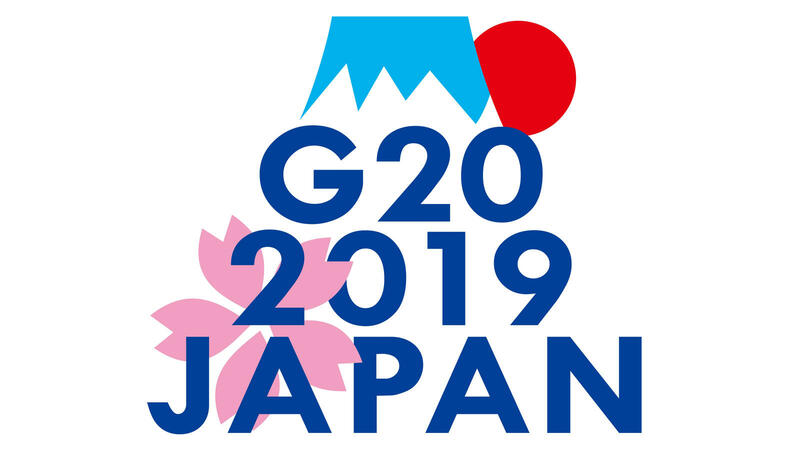 Miyamoto wrapped up by stating that the four-party dialogue should continue to be held in the future, and that it will be necessary to refine the ideas that arise through the talks. Kudo responded that he will continue with such work, and the passionate, three-hour discussion was brought to a close.